Looking for the best things to do in Cartagena? Then you’re in luck because this incredible colonial city has long been considered to be the crown jewel of the Colombian Caribbean, full of fun things to see and experience. It has long held the title as Colombia’s most popular city for tourists, a place frequented equally by sun-deprived Rolos from the capital city of Bogota or weary cruise ship tourists taking their first tentative steps into Colombia. Cartagena is a place known for its beaches and the romance offered by its colorful streets and aging colonial buildings. Thankfully, there are about a million things to do in Cartagena, and its colorful old city is sure to enchant many visitors. It was here in Cartagena where I started my own Colombian adventures, as the plane from New York touched down and I grabbed a taxi toward Getsemani, struggling in my broken Spanish and then delving head first into the colors, sights, and sounds of this vibrant city. 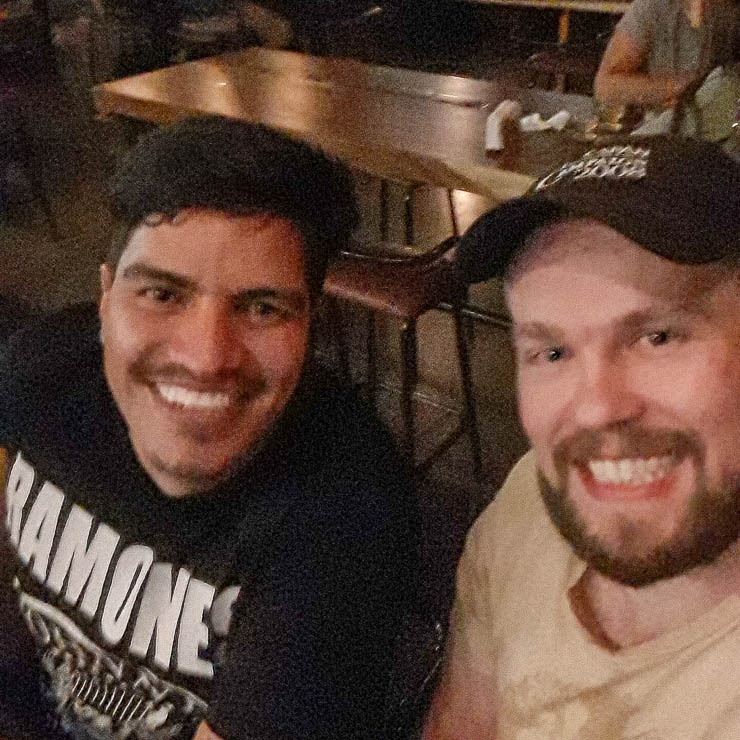 It was my first time in South America, just starting a journey which was supposed to take me all along the Andean spine, but Colombia captured me, and those couple months that I planned for Colombia turned into a full year — I never even made it to Ecuador on that first trip! This guide will cover the best things to do in Cartagena, where to stay, safety, tips, activities, and so much more! 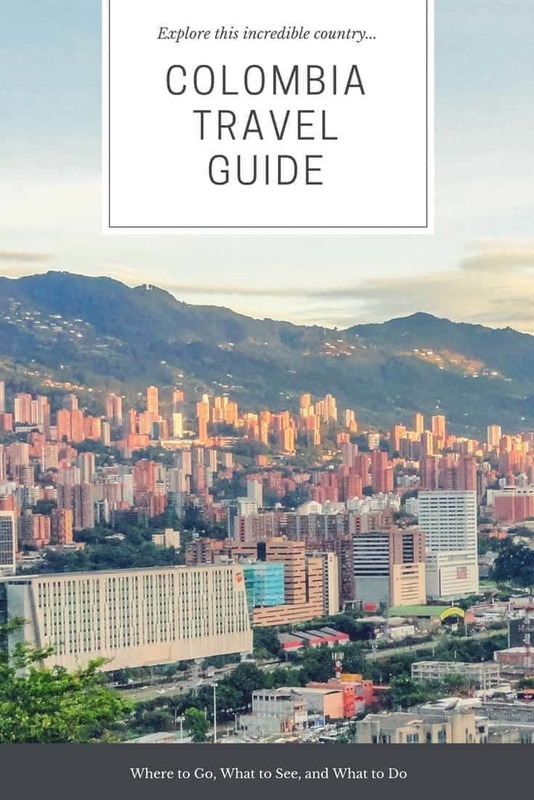 Don’t miss out on the free printable guide at the end to help you plan a better trip to Colombia! Back to Cartagena though, in addition to the magic offered by the historic and colonial center of the walled city (declared a World Heritage Site by UNESCO) and the exclusive hotels and restaurants that line the edges, Cartagena is recognized, at least nationally if not internationally, for its nightlife and wide range of bars and discos that ensure a night of good “rumba” until the Caribbean sun comes up. It’s long been Colombia’s most popular party city, catering to Colombian tourists even back when most foreigners were afraid to come to Colombia. Not only that, but the place has some incredible dining, particularly if you love fresh seafood from the surrounding Caribbean waters. Give me some mixed seafood rice, a cold beer, a plastic chair, and I’m a pretty happy traveler. For those who like the history and colonial architecture around the time of the conquest of the Americas, the city of Cartagena will draw you in because it offers an extensive selection of sites to visit that are oozing with history and intrigue, many places to see, visit, and walk through — the places where so many battles were fought by the kingdom of Spain to defend its territory. In short, there are all sorts of Cartagena activities for both day and night, for all tastes, and for all budgets — from backpacker chic, cruise shipper, or luxury traveler. While in the city you can find many excursions in Cartagena to explore the city, its most popular places, the historic center, its beaches, islands, and mangroves. But if like me, you usually travel with a limited budget and paid tours and expensive guides are not for you, then this article will help you find a good cross section of all the things to do in Cartagena, where to visit and where to enjoy the best beaches. Cartagena has many beaches that are worth visiting or exploring but these are considered the best Cartagena beaches and should give you a good place to start for your day (or week) in the sun. These beaches are located on the peninsula stretching south from the old town, and they are perhaps the best known and most popular in Cartagena, so don’t be surprised at how crowded they are if you go on long weekend or holiday. The Caribbean Sea is more crowded and hectic from December to February and quieter from March to November. In the area, you can find a wide variety of food, fruits and drinks and a lot of upscale hotel infrastructure. Also keep in mind that a lot of street vendors offering you all kinds of products and services will be hanging around the beaches, so keep an eye on your belongings and don’t accept anything if you don’t want to pay for it, because even if they tell you it’s free to get your attention, in the end, they will be asking for money. In Cartagena, there is no such thing as a free lunch, and Cartagena is full of tricks to get money from tourists, sadly. On the plus side, if you can get out of Cartagena without getting ripped off, you will find the rest of Colombia to a breeze. If you walk the length of the peninsula and arrive at the southern terminus you will find the El Laguito beaches, very close to those of Bocagrande, therefore they are also very popular and crowded. These are the most accessible of Cartagena’s beautiful beaches and therefore those that are most budget friendly. Baru’s Playa Blanca is considered one of the most beautiful beaches due to its white sand and the color of its waters. Although it hasn’t been popular for as many years as the beaches of Bocagrande, it has really taken off in recent years, and become one of Cartagena’s must-see areas. It is located in the Corales del Rosario National Park, on a narrow peninsula further south from the city of Cartagena. You can access it easily by land or by a boat tour, and as I warned with the other beaches, you have to be careful with vendors and restaurants who may be trying to swindle tourists. Even so, I’d highly recommend putting this near the top of your Cartagena to do list! The easiest way to visit Baru is with an organized excursion though, which can be had for relatively cheap and will give you a full day out there. The Islas del Rosario are small islands located west of Baru and which can be reached by boat in about one hour. Because of its location and because you can only reach them by boat, they are a bit more secluded but obviously more expensive. These islands just might be about the most picturesque islands in Colombia without having to go to San Andres or Providencia. There are excursions where you can go snorkeling or visit the oceanarium or aquarium. Although Rosario isn’t exactly one of those cheap things to do that I spoke about at the beginning of this article, I still wanted to mention it because it is a unique and unspoiled place, which might be up your alley if you’ve got the budget. This is certainly one of the top Cartagena attractions, as it is something so unique to the area. A tour to go to the beach with lunch and transportation, costs around $100 and you can hire an operator at the Bodeguita dock, and if you want to enter the oceanarium it’s another 30,000 Colombian pesos ($10). A popular way to do it is on one of those cool catamaran excursions that heads out for he day and hits a few different highlights. Check out the gray sand beaches, near the Hilton Hotel, located on the little thumb that juts out east from Bocagrande and El Laguito. This beach isn’t as busy as the others, so if you like quieter places while still not being too far from the historical and tourist center, this area may be a better option for you. It is also a place that’s popular for water sports activities. Going to Cartagena without visiting the colorful historic center is basically like not going to Cartagena whatsoever! So don’t be one of those tourists that just stays stationed like a beached whale along the shore of Bocagrande, hah. 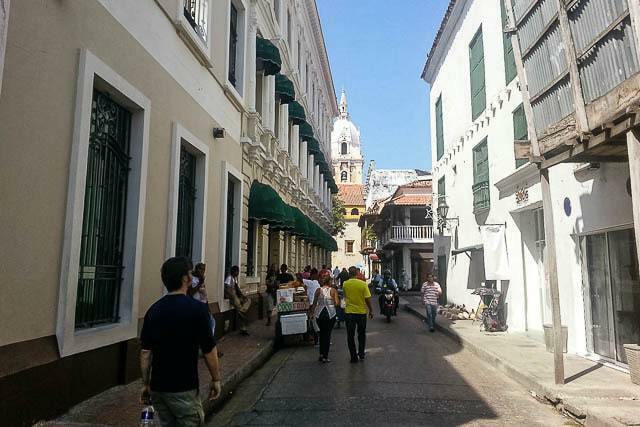 One of my favorite things to do in Cartagena, and which can be done for free, is simply walking through the Old City of Cartagena and enjoying the colonial architecture of its squares, churches, and houses. The majority of the most beautiful places and architecture sits within the old walls which were built to protect the nascent colonial city from pirate attacks. While it can be done for free, it’s also worth taking a tour if you want to know a little more about the history during the time of the Spanish conquest and up to more modern times. 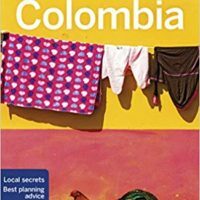 I’d recommend a free walking tour with Beyond Colombia as a great thing to do on your first full day in Cartagena… It is a gratuity based tour, so you can tip whatever you feel it was worth at the end of the tour. Whatever option you choose, here are the areas most emblematic or representative of the historic center. The Castillo de San Felipe is a historic military complex that was built from 1536 to 1657, in order to monitor and protect the city from invasions. It is one of the must-sees in the historic center and has been called the greatest fortress ever built by the Spaniards in any of their colonies. 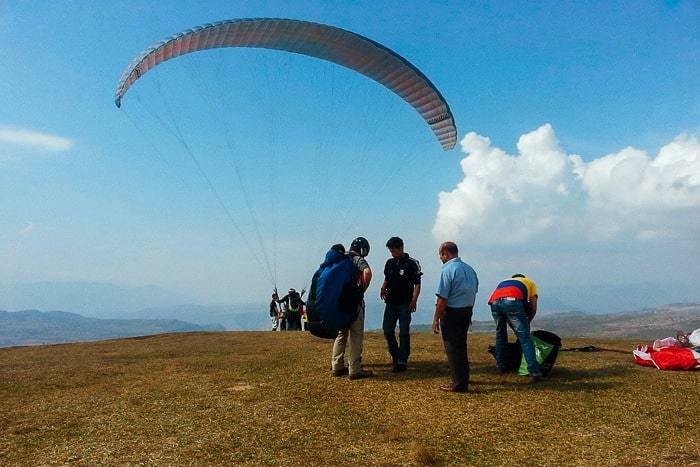 The entrance costs around 25,000 Colombian pesos per person (about $8) from Monday to Sunday from 8 am to 6 pm. You can also appreciate the massive complex just by walking around the base of it. Nothing embodies or represents the historic center quite like the Old Walls. They were built by the Spanish to defend the city from English and French attacks and invasions from 1586 to 1796, they are approximately 3 miles long in total (5 km). You can walk along them in their entirety or even just a small section. 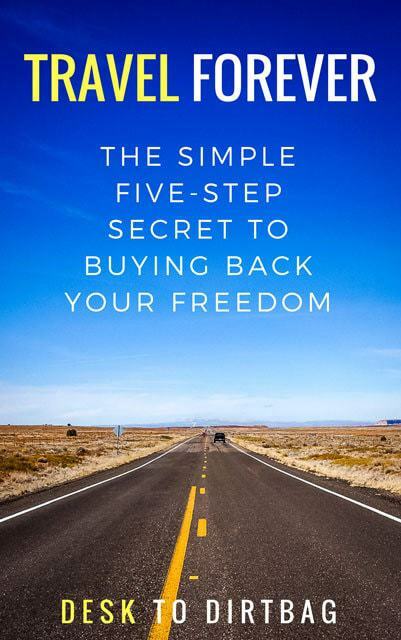 It can be down to your own rhythm, totally free and without a guide. From here you can see the crashing waves and watch the boats at sea. It’s a perfect place to take in a sunset. The Plaza de Santo Domingo is a place that is very popular with tourists because besides the impressive colonial architecture with large balconies, there are plenty of bars and restaurants surrounding the plaza where you can spend the afternoon enjoying the tropical Cartagena breeze. You shouldn’t miss the chance to meet Gertrudis, a sculpture by Fernando Botero (Colombia’s most popular artist) located in the plaza, and take a picture with her. The Plaza de San Pedro Claver is another very attractive and lovely square to walk through if you haven’t yet tired of the beautiful colonial architecture. And yes, it’s another free thing to enjoy in the historic center. Close to the Plaza de Bolívar you will find Palace of the Inquisition where people were tried, imprisoned and tortured in the 1600s. Now it stands as a museum with a beautiful courtyard and a space which helps you better understand the history and how it shaped modern Colombian society. Plan to spend an hour or two here. On the opposite side of the walled city, you’ll find this impressive historical building that has had many uses, most famously as a dungeon, but it was also a military barracks, a prison, an ammunition warehouse and, in more recent times, it was the headquarters of the liquor industry in the region. But today you will find little shops selling crafts and colorful souvenirs to take home to family. Whether you are here for the architecture and history or the local handicrafts, it is definitely one of the sites that you shouldn’t miss out on in the historic center of the city. Throughout history, this square has the site of some pretty macabre scenes, such as for the sale of slaves brought from Africa during colonial times or displaying the heads of those who were executed. Although it hasn’t always been for humanity’s dark side, since it has had friendlier uses like selling merchandise and parking cars, hence its name (los coches) that was perpetuated to this day. Now it’s a great place to go and taste the typical and most traditional sweets of the Caribbean region, which is why they also call it the Portal of the Sweets. This plaza is located near the City Hall of Cartagena, and it is considered one of the largest, most beautiful and elegant squares in the historic center for its architecture and color. The name is due to the location of the customs house during colonial times. This long plaza, whose name means “Walk of the Martyrs”. This monument was built as a tribute to nine leaders who fought for independence from Spain and were thus killed in order to instill fear in the inhabitants of the city. In the square, you can see the sculptures of the martyrs. I wasn’t there during the right time of year, but people speak marvels about the Christmas decorations here, so in case you go in this time, make sure to pay a visit. The Pegasus Pier is located in the Getsemaní neighborhood along with the Centennial Park and the Clock Tower. The view from here is very beautiful. And the name is due to the two imposing sculptures of horses or pegasus near the convention center. Fort San Sebastian del Pastelillo is another historical place built to control maritime traffic in the bay and to prevent the city from attacks. Today you will find the colonial structure with a very good view of the bay and facing toward the new and modern part of Cartagena. Now it works as a port for sailboats. Here you will also find an exclusive restaurant of the Fishing Club in case you get hungry and want to dine with an excellent view. The reason they gave it the name of San Sebastian is because he is the patron saint of the conquerors. 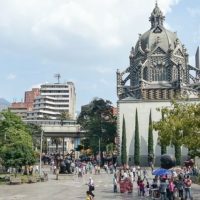 If you want a respite from the suffocating heat that sometimes plagues the city, you might want to spend some time in Plaza Bolívar, where you can grab a refreshing watermelon or a tropical fruit that the locals sell here to quench your thirst. I love the many fruit stands you will find throughout the city – it’s one of the coolest parts about Cartagena. While you are here, you can also take advantage by popping in to visit the Gold Museum which is open from 8 a.m. to 12 and 2 p.m. to 6 p.m. Here you will find some 700 pieces of gold from the Zenú indigenous culture. Another place in the Getsemaní neighborhood to walk peacefully and rest a bit from the blistering sun by hiding in the shadows of the trees. At Centennial Park, you can enjoy the gardens and fountains and if you’re lucky you might even see some wild animals hanging around, like the iguanas. India Catalina Monument is one of the most emblematic symbols of Cartagena. It is so important that a replica of the India Catalina statue is given during the national television awards ceremony, which like the equivalent of the Oscars (if you can compare the ceremonies but obviously on a smaller scale). The monument depicts the native woman who served as a translator for the founder of the city, Pedro de Heredia. The monument was sculpted in the year of 1974 by the artist Eladio Gil and is located at the intersection of Pedro de Heredia and Venezuela Avenues. Yes, the Monument to the Old Shoes, if you speak Spanish. 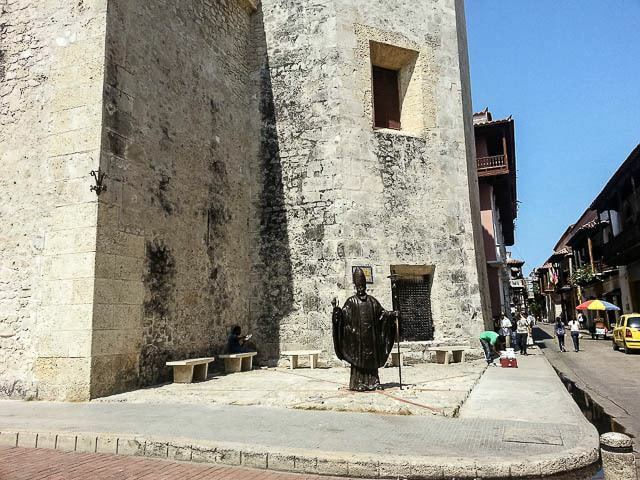 This is another of the flagship monuments of the city of Cartagena and was made by the artist Tito Lombana. You will find this sculpture located near the San Felipe Castle as a tribute to the Cartagena poet Luis Carlos López. He wrote a famous poem dedicated to the walled city, where he speaks about the love one has for old shoes, as an analogy to love for your city. It’s a must-visit for many local tourists, so don’t be surprised if you find many people trying to get a photo next to this emblematic sculpture. The central arch of the clock tower was the original entrance to Cartagena during the colonial era, then another two arches were added in the 18th century and the original clock was replaced by the current one in 1888. Cerro de la Popa is a hill 148 meters above sea level, where there is a convent and the church of the Virgin of La Candelaria from the end of the 16th century. But it is not the main reason that the hill is so attractive for tourists, it is also because from there you can have a complete view of the city. From here you can see all its faces and its great socioeconomic contrasts, from the most luxurious sectors to the poorest areas of town. While you might be able to go up and down on foot, it isn’t really recommended because of the numerous robberies that have occurred over the years along the access road. The best thing to do is to take a taxi, but be careful to negotiate the price beforehand so they wait for you for about half an hour and they go drive you back down because sometimes it is not easy to get a cab back. Prices can range between 40,000 and 60,000 ($14 and $21). If you decide to enter the convent, keep in mind that the entrance costs around 12,000 Colombian pesos ($4) and is open Monday through Sunday from 8:30 am to 5:30 pm. If you are more adventurous and you like to enter the most down to earth and authentic parts of the places you visit, then you should visit the Bazurto market. Here you will find a world full of colors, flavors, and smells, along with some of the most typical Colombian foods here on the coast. I would recommend that you not visit alone but through one of the tours that are offered in the city, as the market is located quite far away from the tourist areas. It’s here where the people of Cartagena stock up because virtually everything can be obtained there (and for very cheap) so you can expect it to be quite crowded. If you decide to go, go with an open mind because this is definitely one of those non-touristy things to do in Cartagena. If you are a big fan of the Nobel Prize-winning Colombian literature author, Gabriel García Márquez, and want to see where he lived, then you should head to Carrera 2 with Zerrezuela Street, near the Plaza de las Bóvedas. It’s just his old house, so don’t expect to be able to enter, nor is there a museum, it’s just to take your picture of the facade. They say that his family currently lives there. If you haven’t yet, be sure to pick up a copy of One Hundred Years of Solitude to read before you get to Colombia or while you are traveling through the country. It is his most famous piece of literature. This theater was built in 1911 and restored in 1998 and exhibits an ornate Italian style. It’s located near the old city walls and the University of Cartagena. If you manage to catch an event or go inside then you can see its ostentatious sculptures, paintings, and its stunning beauty inside. A little less than 1 hour north of Cartagena, in the municipality of Galerazamba, there is a fairly popular mud volcano, known as the Totumo Volcano. Writhing around in the mud with a bunch of strangers isn’t exactly my cup of tea, but I wanted to mention it so you can decide for yourself since are many people who like to take a good mud bath. Of course, they say the mud is medicinal, but I really don’t know… Whether for health or fun, there are definitely loads of people who love this place — Colombians as well. Since it is so touristy, don’t expect anything for free here, of course. Locals take advantage of the arrival of tourists to make business with anything and everything; they’ll give you massages, they bathe you, they’ll help you remove the mud, they take photos of you, etc. Obviously all these extra services cost, so if you do go and don’t want to pay extra, you should be careful not to let them do any of these extra services, because sometimes they’ll do it without asking if you want to or not and won’t clarify that it costs money. Access to the mud volcano costs around 10,000 Colombian pesos ($3.5), and from there you pay for any of the extra services you receive. The whole thing is very rustic, so don’t expect anything of luxury — it’s a mud volcano after all. But at the least, you get an excellent view of the Ciénaga del Totumo. For those who do have a limited time here and are looking for some fun stuff to do in Cartagena or ways to maximize their time, then it is hard to deny the appeal of some organized Cartagena activities or tours. 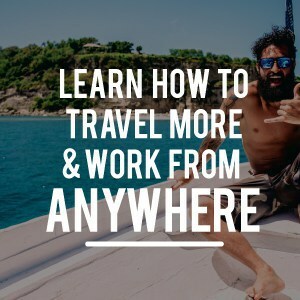 They are often quite simply the best way to get the most out of a short time, shortcutting your insights into culture, history, food, and much more. I recommend booking your Cartagena tours and activities through Get Your Guide, they offer a great selection and great prices too, and don’t miss out my article about the best Cartagena tours, as well. Whether alone, with friends or as a couple, it is always fun to enjoy a little of the nightlife, and Cartagena is one of the best in all of Colombia in that respect. 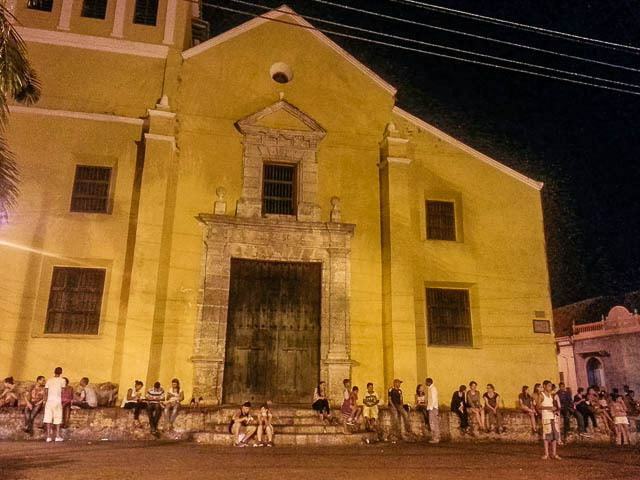 In addition to the many daytime activities in Cartagena along the beautiful beaches and within the historic center, you should also check out the nightlife here, for which Cartagena is so very famous throughout the country. You will find a wide variety of nightclubs and bars so that you can enjoy the Caribbean rhythms like salsa, bachata, cumbia, or just crossover. This is where the costeños shine and are most in their element. For the best concentration of nightlife, head in the area of the convention center, in the Getsemaní neighborhood (Parque del Centenario), historic center and Bocagrande. Around these parts, you will find parties that can go until 4 in the morning and even later. 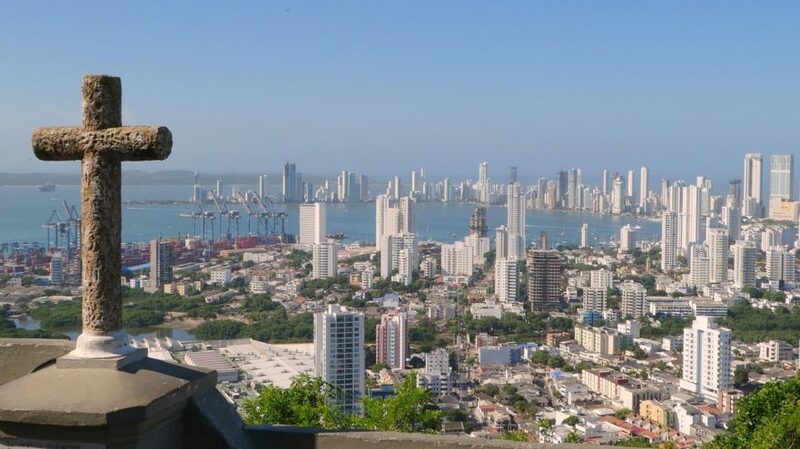 As you can see from this article, the majority of the most interesting things to do in Cartagena revolve around the old city or the immediate vicinity, so if it’s your first trip to Cartagena, you’d be best served staying in this area. The best place to stay in Cartagena is probably within the old walled city. Second best would be the neighborhood of Getsemani, as it is located just outside the fabled old walls and offers plenty of great restaurants, bars, and lively streets. Not only that, but you’ll find loads of hostels and hotels here as well. Getsemani would be my recommendation. Be sure to check out our more comprehensive guide to the best Cartagena hostels. If you want more upscale and elegance, right along the best beaches in Cartagena, then you should head a little further out along the spit near Bocagrande and that area (El Laguito and Castillogrande). Here you can expect to pay considerably more for lodging and you’ll have a decent walk (or short taxi ride) to the heart of the old city. Cartagena, in general, is quite safe for tourists in terms of crime, but you should always watch out and be sure to keep an eye on your wallet. 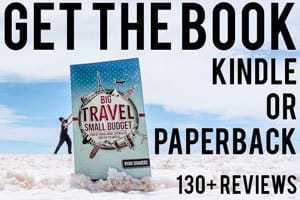 Of more concern here, since it is such a famously popular tourist city, is the fact that some vendors and locals have a lot of experience in ripping off tourists or simply overcharging you with plans or services that are way overpriced. In addition, taxi drivers here are very good scammers and they don’t use a taxi meter, so settle on a price before getting inside a cab. In spite of these warnings, Cartagena is an amazing city that you are sure to enjoy. So there you have it! 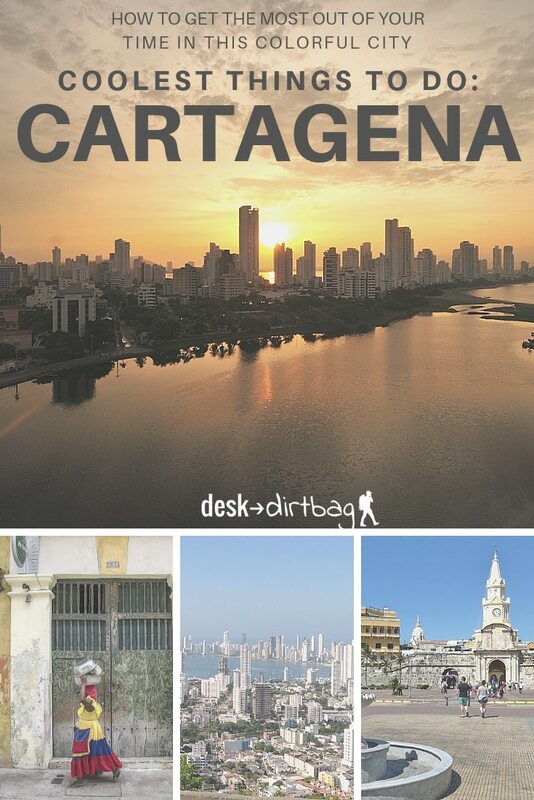 My massive guide full of the best things to do in Cartagena. It’s an incredible city, and it makes for one of the best introductions to Colombia. Here in Cartagena be sure to get ready for busy days and fun-filled nights because there is always something to do. Be advised that the temperatures here are quite hot, ranging from the 80s to 90s, and quite humid. The best time to visit Cartagena is around during the dry season, but you can also visit during the low season (aka the rainiest months) of September, October, and November. If you enjoyed this post about things to do in Cartagena, please take a moment to share it on Pinterest, Facebook, or Twitter. Thanks! 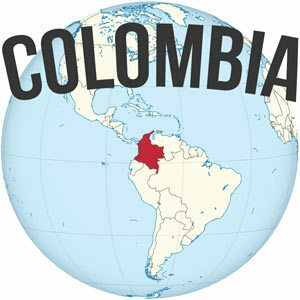 No doubt Colombia is a nice country to travel for vacation. The tropical climate of this country makes some diverse climate zones. You covered most of the places people must not miss to visit. Thanks for the awesome post with some nice photos.